The visual novel Hakuoki: Edo Blossoms is out now for PS Vita in North America. It is available both physically and digitally, and is compatible with PlayStation TV. In Europe, it will release this Friday. 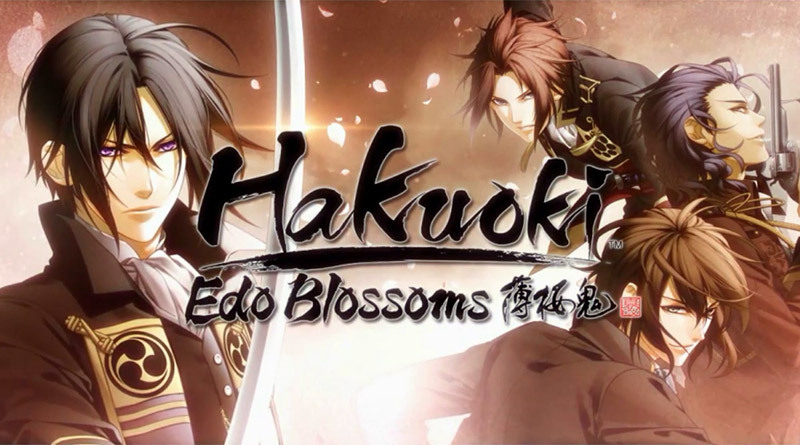 Hakuoki: Edo Blossoms tells the story of a girl who allies with the warriors of the Shinsengumi, who are struggling to uphold their faith in an era of rapid social change in Japan, and the fate of those who sought to resist that change… Find true love in the journey to Edo – your choices decide your fate. This remastered telling of the beloved visual novel Hakuoki series is a continuation of the Hakuoki: Kyoto Winds story and focuses on the story set in Edo, the second part in this two-part series. Start by choosing from one of 12 handsome bachelors and fall in love with Japanese history’s most famous warriors.